Everybody knows about the state flower and the state tree, but here are five Colorado state symbols you probably didn't know existed. Yes, we know all about the Rocky Mountain Columbine, the Colorado Blue Spruce, and the Lark Bunting, but Colorado has a lot of state symbols we never hear about. So, here you go. Five Colorado state symbols you probably didn't know existed. If you didn't know we had a state amphibian, you shouldn't feel bad as it is a fairly recent development. 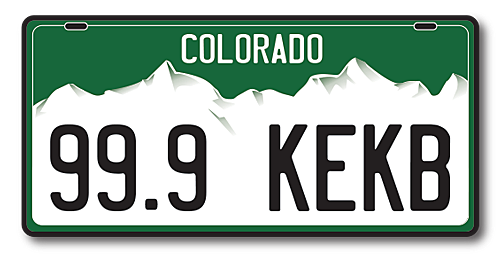 The designation was made by the Colorado legislature in 2012. This nocturnal creature also happens to be the state amphibian for Kansas. Considering all of the insects we have to choose, we could have done a lot worse than this beautiful butterfly. It is recognizable by its dark purple wings and orange spots on the outer edges. Your best chance to spot one of these beauties is from mid-June through August. Colorado truly cares for its homeless pets. That's why we made them the official state pet. Shelter dogs and cats make great pets for thousands of people every year in Colorado, and that makes for happy pets and happy owners. Bet you didn't know this one. You might think the state sport was football, considering the popularity of the Denver Broncos. Maybe even America's favorite past time, baseball. Skiing seems like a logical choice, but apparently, we should be looking for the nearest Pack Burro race track. Who knew there was even such a thing as Pack Burro Racing? When you think of Colorado, cactus probably isn't the first thing that pops into your head, but we actually do have a state cactus. It's mainly found in Arizona and New Mexico and is federally listed as an endangered species.As cactus go, it's definitely one of the prettier ones.